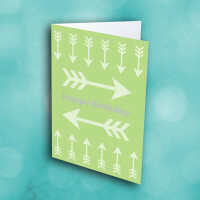 Convey your birthday greetings with this creative and unique birthday card. 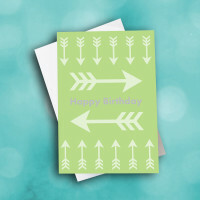 Send a one-of-a-kind greeting to brighten up someone's special day. 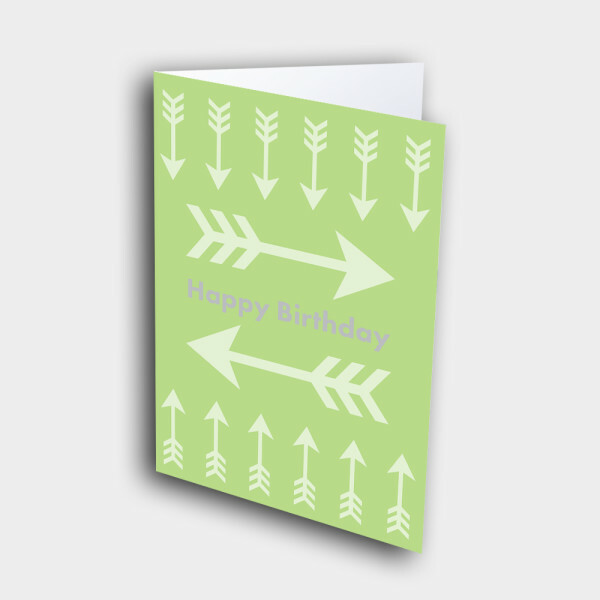 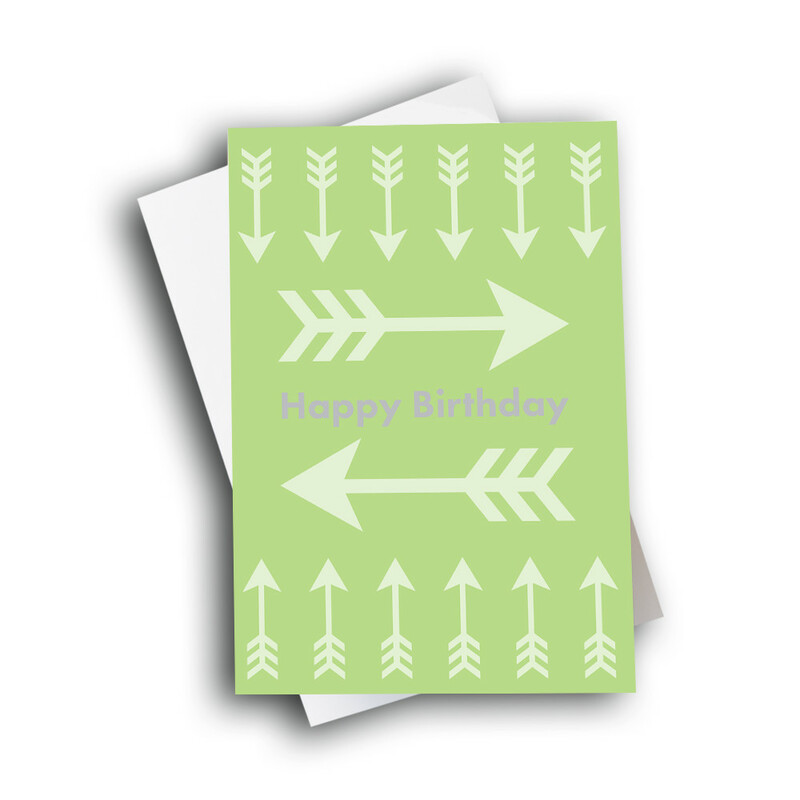 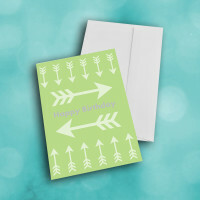 The olive-green front is adorned with numerous detailed arrows, forming a border for the simple birthday greeting in the center. 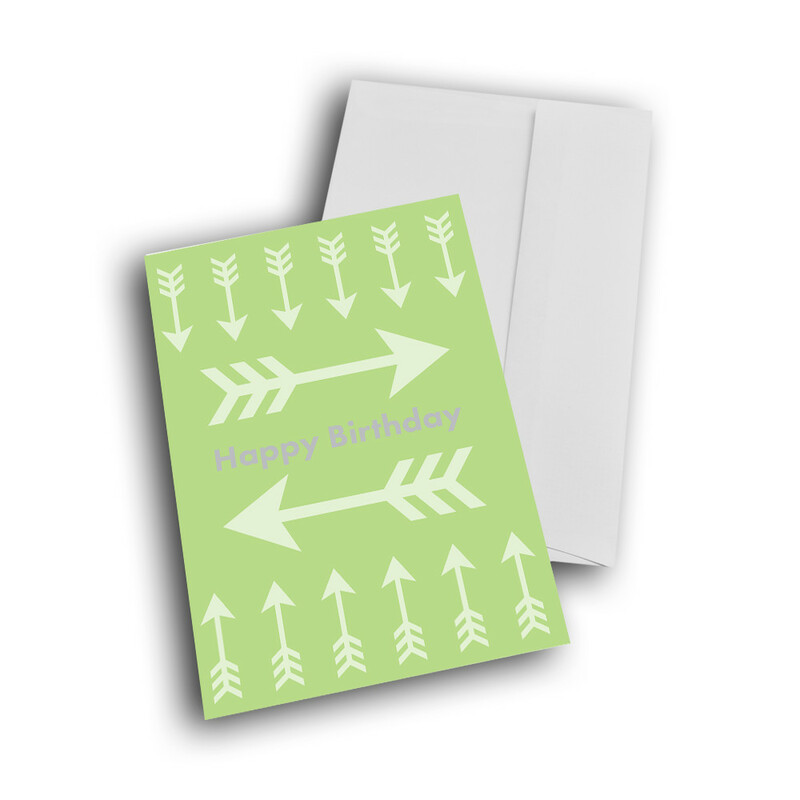 The inside can be personalized with a custom message to give this card your individual touch. 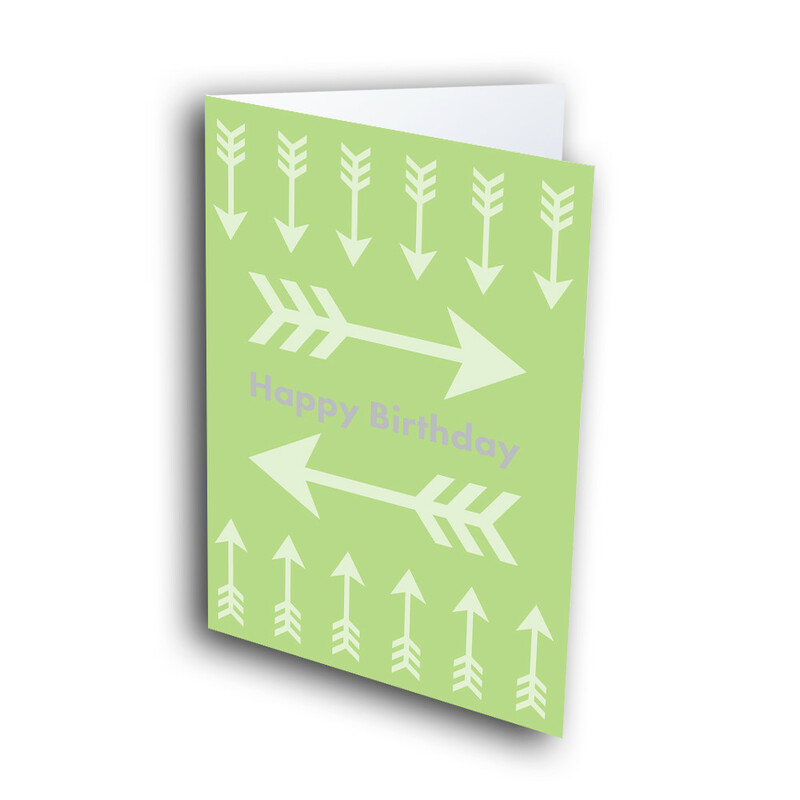 Card Size : 5.5" X 8.0"